The Final WHMIS 2015 Compliance Deadline Is Quickly Approaching – Are You Ready? December 1, 2018 is the final deadline for compliance with Health Canada’s GHS-aligned Workplace Hazardous Materials Information System (WHMIS 2015). 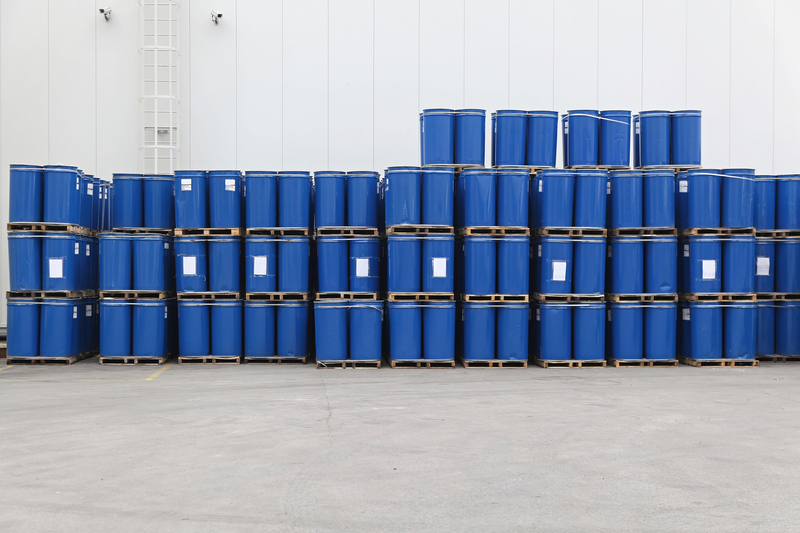 By this date, all chemical manufacturers, importers, distributors and employers who handle hazardous products in Canada – or doing business with Canadian companies – covered by WHMIS 2015 must be in full compliance with the standard. Health Canada’s phased approach to GHS alignment is already well underway. Canadian hazardous product manufacturers and importers were required to be in compliance with WHMIS 2015 by June 1, 2018, and distributors had a deadline of September 1, 2018 to be in compliance. The final December 1, 2018 deadline marks the first compliance deadline for employers covered by the standard, responsible for updating safety data sheets (SDSs) and labels according to WHMIS 2015 requirements, and providing workers with education and training on these changes. Federally regulated employers will have until June 1, 2019 to come into compliance with WHMIS 2015. The road to compliance has not been easy. Results from Health Canada’s recent Safety Data Sheet Audit Project reveal that hazardous product suppliers still have a long way to go when it comes to getting their SDS documents and labels in-line with the new requirements. The project found that despite manufacturer, importer and distributor requirements under the HPR and WHMIS 2015 having already come into force, 98.4 percent of the 188 SDSs Health Canada evaluated were still out of compliance. That’s why it’s important that Canadian hazardous product suppliers, employers and the companies who do business with them to review our library of expert WHMIS 2015 resources to help simplify compliance with the new requirements. Our WHMIS 2015 Compliance Checklist and WHMIS 2015 Employer 3-Year SDS Verification Rule Map are two helpful guides offered free of cost to help those covered by WHMIS 2015 better understand their compliance obligations, while the MSDSonline WHMIS Information Page is a quick and easy resource for basic WHMIS 2015 information. Our exclusive webinar, “WHMIS 2015: All 3 Compliance Deadlines Hit in 2018 — Are You Ready?,” on November 14, 2018 and November 27, 2018 from 11 am – 12 pm ET provides a detailed overview of WHMIS 2015 requirements, along with a number of strategies and best practices that you can implement at your workplace to ensure you’re up to speed with your compliance responsibilities. It’s available at no cost and registration is now available. Let VelocityEHS | MSDSonline Help! VelocityEHS’ comprehensive suite of MSDSonline chemical management software products and services to help you quickly and easily manage the daunting task of bringing your business into compliance with the new WHMIS 2015 requirements. For manufacturers, importers and distributors, our SDS Authoring and Regulatory Consulting Services, including SDS Compliance Check and CBI Claim Registration Support, help eliminate the burden of getting your SDSs and labels into compliance with WHMIS 2015 requirements. Our in-house team of chemical safety and regulatory experts are available to provide you with one-on-one support for WHMIS 2015 chemical hazard classification, SDS document authoring and translation, and much more. Employers, meanwhile, can take advantage of our award-winning, mobile-enabled HQ and HQ RegXR Accounts and take the hassle out of WHMIS 2015 compliance. They feature powerful, yet easy-to-use SDS and chemical inventory management tools including automatic GHS-aligned SDS document flagging and updates to help you streamline the transition from your old MSDSs to the new SDS format and provide your employees with immediate, right-to-know access to your updated library of SDSs. Employers with 3-year SDS update and verification requirements can save serious time and money with the help of our SDS Verification Services, which eliminate the need to dig through your SDS library to determine whether or not your documents are up-to-date and in compliance. EH&S Blog GHS The Final WHMIS 2015 Compliance Deadline Is Quickly Approaching – Are You Ready?